In the Orthodox tradition, icons are regarded as more than mere paintings; they are ‘windows into heaven.’ In our encounter with God through our senses, the visual is profoundly important. 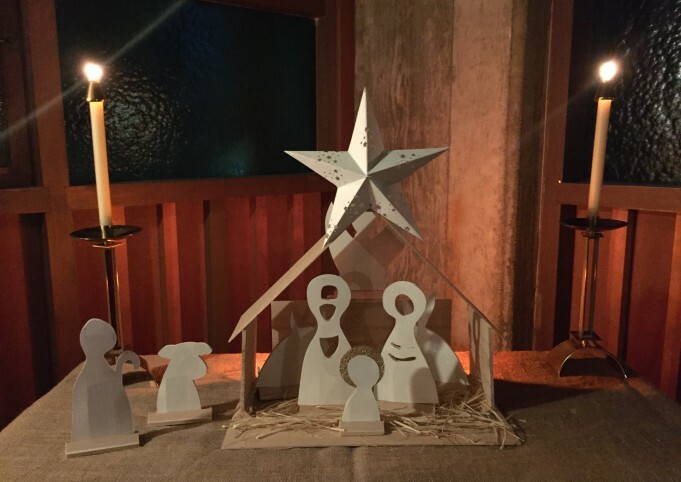 The permanent features of All Souls – the architecture, the windows, and the furnishings – are complemented by ongoing seasonal artistic creations reflecting many different kinds of Christian experience. 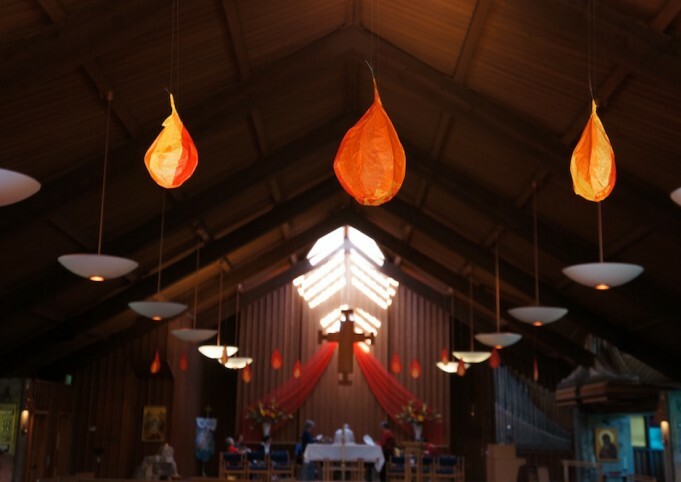 As we move through the seasons of the year, different-colored sets of vestments are used, hangings and banners reinforce the season, and varied expressions are created by parishioners and other local artists to enhance the visual component of our space, working sensitively to craft their contributions to harmonize with the entire experience of being present inside All Souls. Traveling Nativity. Paper and wood sculpture by Jocelyn Bergen. 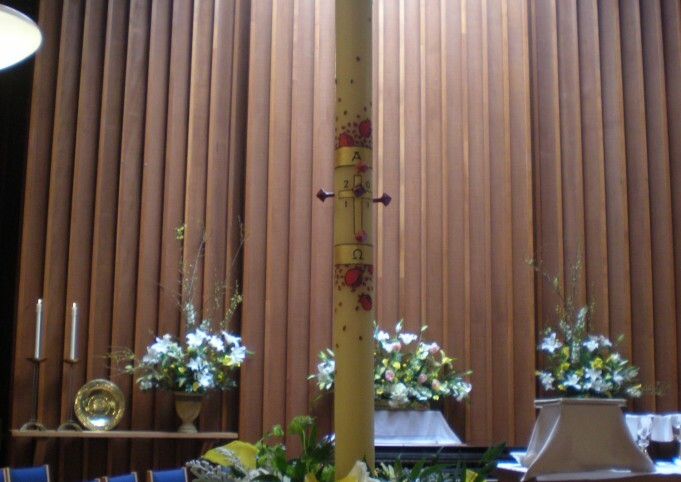 Paschal Candle. Beeswax candle by Kelly Marston. Design by Jocelyn Bergen. 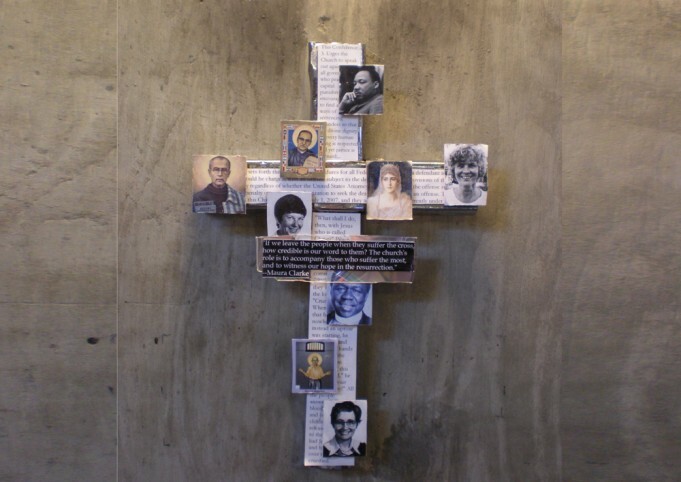 Station of the cross, Lent 2010. Metal and paper sculpture by Nat Lewis. 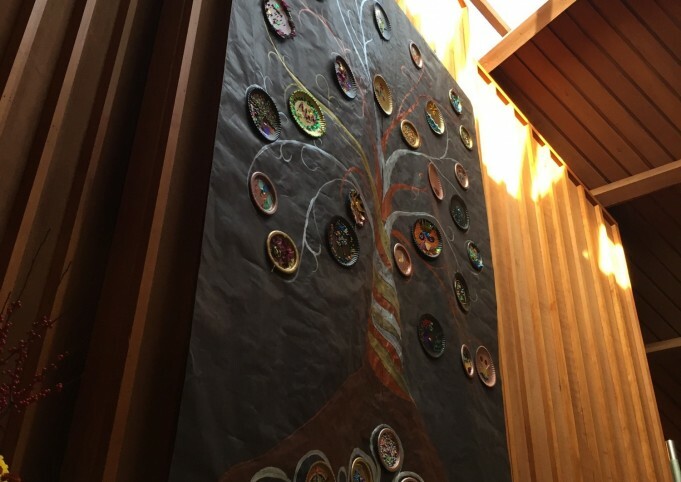 All Souls / All Saints Tree of Life. Paper and collage by Diane Haavik. Pentecost flames. Paper and wire sculpture by Jocelyn Bergen.